The NEW iPhone 7 Plus with back and sides embellished in either 24k Gold or Platinum. Alchemist – London creates the finest quality customized and bespoke Luxury pieces for discerning clients. This time it is a 24k Gold iPhone 7 Plus. The NEW iPhone 7 Plus is available with back and sides embellished in either 24k Gold or Platinum. 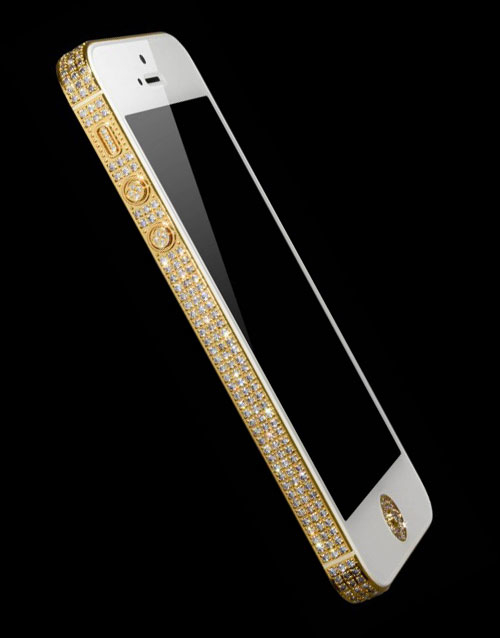 Alchemist gives lifetime plating guarantee on all its handsets. Apple has already launched the new iPhone 7 and iPhone 7 Plus. iPhone 7 Plus was launched in September 2016 and is the top selling mobile since then. Let’s have a brief comparison to its previous versions to reflect its worth. Size matters and the iPhone 7 is about the same as the 6S. It has a 4.7 inch screen. The iPhone 7 Plus has the larger 5.5 inch screen and some nice added camera features to boot, more about that later. The screen has more brightness. The HD Retina Display is 25% brighter than the previous version. It now includes a pressure sensitive 3D Touch Layer. This creates a buzz when you press it and hold onto the screen. The phone is also water-resistant. Much like the phones from Samsung and Sony. Not sure you would want to drop in a fountain or toilet but if it slips into a beverage cup or takes on some moisture there should be no damage to the device. A big change is the lack of a headphone jack. Now one will have to utilize Apple’s new Earpods headphones to hear music and audio. These can connect through the Lightning Connector Port and enclosed adapter. There is also a wireless Air pods Headset for sale that can be connected through auto-pairing. The 7 has two cameras. The back camera size remains the same as the 6S with 12 megapixels, however there is a larger aperture and optical image stabilization. Your photo taking should be steadier. The front facing camera jumps up to 7 megapixels from the five megapixels on the 6S. It also includes auto image stabilization. The 7 Plus takes it a step further for those serious about photography. It has a wide-angle and a telephoto lens on the back. It includes 2x optical zoom. Reports are the images are enhanced for low light shooting. In a first for Apple, the phone will come with stereo speakers. One speaker will be at the top and the other on bottom. Apple is promising more battery life with the new phones. They estimate 12 hours of LTE browsing with the iPhone 7 and perhaps 14 hours with the 7 Plus. The new A10 Fusion chip and 64-bit quad-core processor in iphone7 has enhanced its operating speed. The company said it is 40 percent faster than the previous A9 processor. Users should get higher performance contributing to the improved battery life. Those who take lots of photos and videos or need extended space, will find more storage options. These include 32GB, 128GB and even 256GB capacities. The iPhone 7 and 7 Plus will be available in several colors. These include jet black, matte black, gold, silver and rose gold. We provide you its unique customized version that will surely fulfill your love for the luxury products. The Alchemist confides in the quality of its creations. We offer free shipping worldwide and Lifetime Warranty on all of our plating. In 24k Gold iPhone 7 Plus, we have used 24k Gold for the plating purpose. 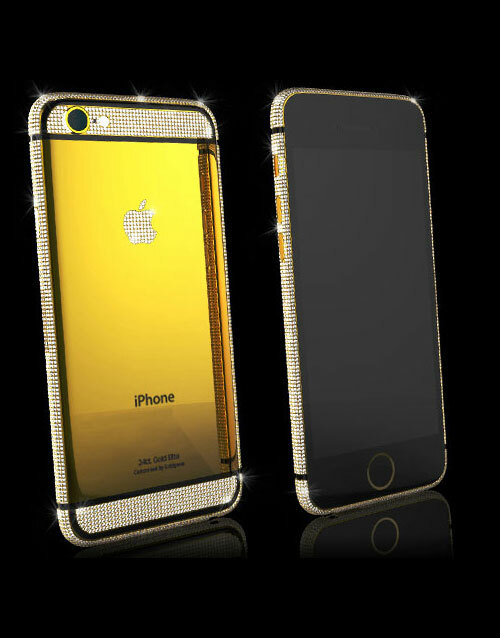 For more info on this product, click here https://www.gold-alchemist.com/product/24k-gold-iphone-7-plus/. For other luxury products offered by us, explore our website: www.gold-alchemist.com.